I have seen this happen many times, that someone tries to advertise his/her own products to sell them and to launch the shop, but that all efforts at a certain point are vain. Infinite attempts to advertise their shop ceaselessly that make friends' walls and timelines stuck with their posts begging for sharing and help in advertising. In the long run, especially when it becomes a compulsive action, this will only generate the opposite effect in social friends who, instead of sharing, will try to avoid those posts by any means. The unconscious reaction triggered is exactly the one they want to ward off. This means that the method chosen is not the right one, or better, this way of advertising could be good but only to a certain extent and not to mention that your circle of friends goes gradually shrinking. Instead of persisting in using a channel that does not give you all the expected results, there are many tips and tricks you can apply such as, employing social networks in a new way, running contests which final prize is a sought-after product from your shop. Or you can promote your shop with discounts and coupons or with loyalty points and prizes, with paid advertising campaigns, by optimising your site or by being active on blogs. Whether you start up a blog with interesting information related to your products, or that you publish posts on blogs among the ones of your industry with biggest following (guest blogging) or that you make other bloggers talk about you and advertise your products, this will certainly be a better choice. But, in this article, I would like to focus on how this last eventuality can be easily realised. Generally, it is not easy that people commit themselves to promoting something that has no advantages for them in the end. Yet, if they are somehow motivated, you can be sure you don't have to strive to convince them to promote you, but they will come to you without you to ask them. Are you wondering how is this possible without having to pay in advance, such as when investing in paid campaigns? With an affiliate program. Make every sale coming from an advertising link generate commissions for those who shared it, a sort of reward for having created a new customer! And now, you are probably wondering how to do that on your site, what tools you need etc. 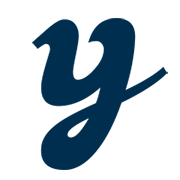 You don't have to worry about that, because if you have a WooCommerce-based shop, integrating an affiliate program is one the simplest things ever: you just have to add a plugin like YITH WooCommerce Affiliates and it's done. You will be able to handle affiliations in ease, for a "mutual exchange of favours", advertising and new sales in exchange for commissions. Then, the plugin will make all the rest! Let's see together its features and how it work!  Let's start from creation on new affiliates: it is very easy for you, admin, to create a new affiliate from already existing users or to use one of the shortcodes included to enable them to register on their own. In the latter case, you can choose to enable admin approval for each new user registered or not. Once they have been approved, they can immediately start promoting your products using the link generated by the plugin for their affiliation. Certainly, you have to check that commission rate set for affiliates is the right one for you and change it in case it was not. 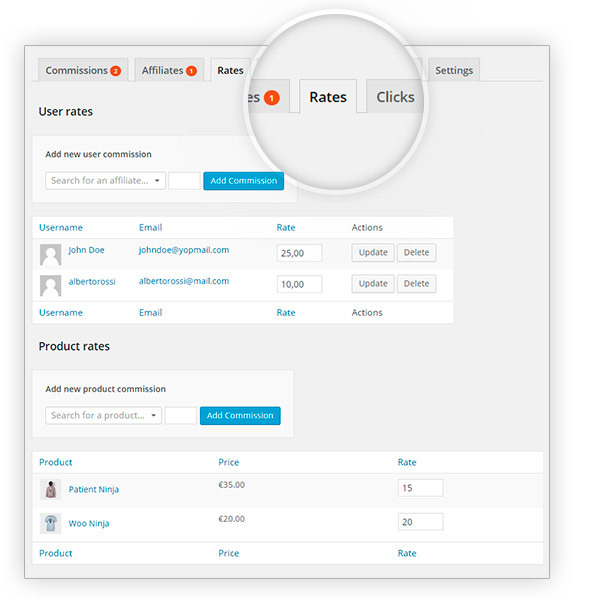 Moreover, you will also be able to set a specific commission rate for each user and for each product. This is a really useful feature, especially if you have both easy-to-sell products and others which require a bigger advertising effort (niche or sought-after products): this is why a different commission for each product would make the difference, especially to be fairer with those affiliates whose commitment in advertising is bigger (they write reviews or devote whole paragraphs of their articles to your products). In addition to that, you can also differentiate commission rates for each affiliate. This will grant you the highest control on your store and will avoid any unexpected event. 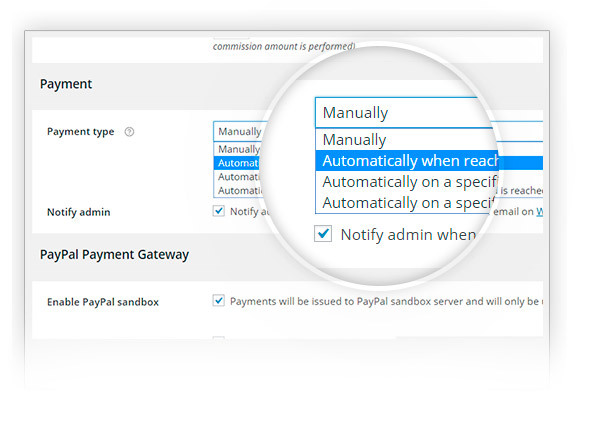 Moreover, commission payment to affiliates can be either made manually or automatically. You can set a minimum credit threshold that affiliates have to reach before being paid: you can choose to pay them automatically as soon as this threshold is reached or to pay them on a specific day of the month but only if this threshold has already been reached. This way, if an affiliate's earnings stay down for a few months, you will not be forced to make payments for too small amounts (that might make you spend half in payment rates), but you will be able to make the payment the next month if the threshold is reached. And all this will be automatically driven in your site, without having to view and calculate all this for each individual affiliate. This might also move your affiliates to make more efforts, so that they can ensure a fixed income every month. The plugin allows you also to calculate easily and automatically total commissions for each affiliate, including cases of refunds. What if a customer learns about your shop, buys 12$ headphones but only later understands they are the wrong ones and wants to change them with 50$ headphones? The price difference will be applied to your affiliate as well. The same, of course, goes also for the opposite case or for cases when customers ask for a refund: also in this case, the commission given to the affiliate will be automatically deducted by the total commissions. 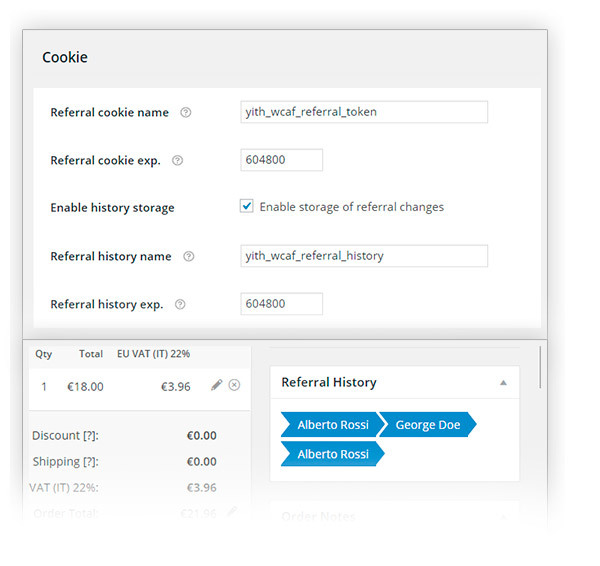 To manage well your affiliates, the plugin allows you also to set a time for storing of information about the affiliate in a cookie. This will allow you to track accurately the visit, so that, even if visit and purchase do not happen in the same session, the commission can be credited correctly. And this is what happens in most cases, that users do not purchase immediately, but need time to evaluate their possible purchase. Your affiliate work would be lost if such an option would not be available, but thanks to YITH WooCommerce Affiliates, it will not, and you will also be able to set the time lapse you prefer. Another very useful feature, then, concerns reports. Reports about affiliate payments and reports about all hits coming from your affiliates for the same item sold. This could be really useful for those customers who reached your site through more than one affiliate link before purchasing. 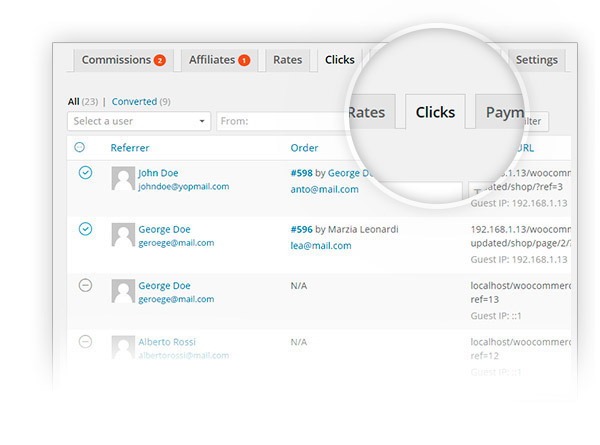 As default setting, the plugin assigns the commission to the last affiliate who brought the customer to your site, but thanks to click report you will be able to see who and how many times has taken the user to your site and act accordingly. Then, what are you waiting for? Try YITH WooCommerce Affiliates and discover all features, such as email notifications both for affiliates and for admin!